... It may not be a direct comparison, but Murray has her own connection to lobbyists: About a dozen former high-level staffers to Murray now serve in high-profile lobbying jobs. More than a quarter of Murray's campaign kitty this cycle has come from PACs. Bruce Boram, a Washington State GOP consultant who has advised Washington Republican Rep. Dave Reichert, called Murray's tactic "staggering." "She's been a senator since 1992," Boram said. "Anybody can tell you that she's plugged in with lobbyists. She's taken lots of PAC money over the years, so trying to turn that around on Rossi is the ultimate pot calling the kettle black." If she brings up the topic Rossi can pursue the topic and show that her connections are deeper and wider than his. Remember this is the leftists. More: Jennifer Rubin at Commentary's Contentions blog; she says the left's defeat is larger than these wormen admit. Victrola Roastery & Cafe, 310 E. Pike Street: Wednesdays at 11 a.m. Stumptown Coffee Roasters, (in the basement of) 1115 12th Avenue: Daily at 3 p.m. Roy Street Coffee & Tea, 700 Broadway East: Daily at 10 a.m. Caffe Vita Coffee Roasting, (behind the roasters and upstairs at) 1005 E. Pike Street: Wednesdays and Fridays at 10 a.m. 15th Avenue Coffee & Tea, 328 15th Avenue E.: Daily at 11 a.m.
... every Saturday at noon at its Beacon Hill cafe, 3215 Beacon Ave. S., and cuppings on Sunday afternoons (no specified time) at the Roastery, 310 E. Pike Street. The cafe at 411 15th Avenue E. will hold Friday cuppings at 1:30 p.m.
Washington is doing a poor job of providing "insurance" for on-the-job injuries. It's a mess. It is headed for insolvency. Only 4 states have a state monopoly in this area. Administrative costs are skyrocketing - up 82 per cent in 10 years. Workers take more time off for injuries - much more time. Average of 270 days versus 70 in Oregon. Initiative 1082 will open the market for other providers. Then with its monopoly gone employers can choose other providers and Washington will have to clean up this mess. See SaveOurJobsWA.com. This one got caught trying to incite a violent incident. Newsbusters ABC News has reprimanded one of its employees for trying to start some kind of ruckus during Sunday's Ground Zero Mosque protest. A freelance audio operator covering a protest at the site of a proposed mosque and community center near Ground Zero has been reprimanded for his behavior. Andrea Lafferty, who was a speaker at the mosque opposition rally, first noticed the audio operator questioning a man in the crowd who was holding a sign which read, "No Sharia Here." ABC News spokesman Jeffrey Schneider tells TVNewser the network has looked into Lafferty's complaint and agrees that the tech "aggressively" questioned members of the crowd with his personal camera. Adds Schneider, "He was not instructed to perform interviews or to engage with protesters and was there solely as an audio tech. He has been reprimanded for his behavior at this event." "Reprimanded". Like, "Be cool about it next time"...? I greatly enjoy exploring - studying the map, getting "lost" so I can take a route I haven't taken before. And I enjoy exploring Washington. I have been to all the major places and attractions in my 60 years living here. Not that I have been to every county and every state park. Williams was born and raised in Washington and continues to find the state fascinating. Traveling to all these places is more than just sightseeing for him, it is also a way to experience history. Williams doesn't just visit the biggest and the best tourist attractions, he wants to see it all. "Washington state history has kind of been my hobby since high school," Williams said. "It's my home state so I feel connected to it in that way." The idea to visit these places was born in 1986, though it wasn't until he made a New Year's resolution in 2001 that Williams began his 34,977-mile journey through Washington. A day trip to the coast with his family took Williams through many small towns he had never heard of in 1986. Since then he has been excited to explore the state. Oops! I missed a big one. 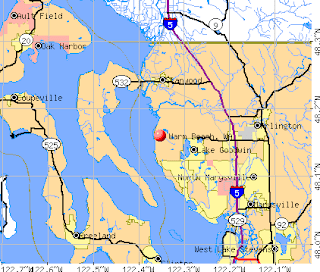 I have never set foot in Point Roberts, the little peninsula that pokes south of the border from British Columbia, west of White Rock, B.C. I have been offshore in a boat, but not on the shore. 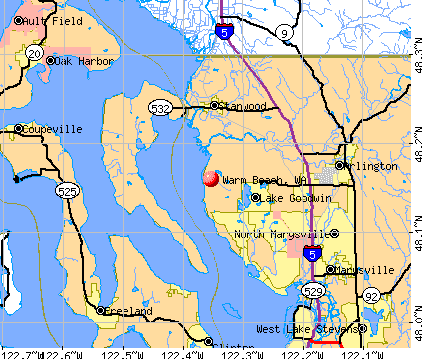 But I have only missed one county - Stevens, bordering Canada just west of the county in the NE corner of the state. Photo: Dave Williams in Oysterville, WA, on the Long Beach Peninsula. The big debate about the mosque at Ground Zero is being fuzzied up by supporters who say it is not at Ground Zero. Look at the map. 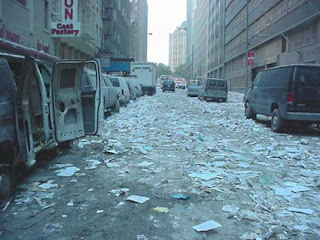 Then look at the photos of 9/11/2001 on the same block on Broadway, the site of Burlington Coat Factory. The Ground Zero mosque is at Ground Zero. So the Cordoba Center - the Cordoba Mosque - could be called the Victory Mosque, or "Triumph of Islam over Europe." Even delusional Albert Gore, Jr., sees that his self-enriching cap-and-trade legislation is dead for this year, which means just plain dead. Poor Al Gore. As if an impending divorce and allegations of sexual misconduct from an Oregon masseuse weren't bad enough (he has since been cleared of wrongdoing), the apparent collapse of "cap-and-trade" legislation in the U.S. Senate has driven the former vice president to despair. As reported by Steve Milloy on his blog Green Hell, Mr. Gore recently admitted to supporters in a conference call, "[T]his [cap-and-trade] battle has not been successful and is pretty much over for this year." Mr. Gore blamed everyone and their monkey for the failure of Congress to pass comprehensive climate legislation, including his former colleagues: "The U.S. Senate has failed us," he lamented, "the federal government has failed us." The fortunes of Mr. Gore's global-warming crusade certainly are in decline: A recent Rasmussen poll found that just 34 percent of respondents "feel human activity is the main contributor" to global warming and that the percentage of those who consider global warming a "serious issue" has "trended down slightly since last November." Why did the federal Department of Education (DOE), which requested the bill, ask for such loose language? DOE "hopes" the money will be used for its intended purpose. They are pretty naive. There are a lot of creative people figuring out how to use it. Yes, their first interest is education. But they will make sure - sure - that they spend every dollar, somehow. -- See also "Truth Needle! False: Murray's statement about teachers' jobs in today's Seattle Times. This was not a sudden development. Three years later, in a November 1989 phone conversation with Egon Krenz, the general secretary of the East German Communist Party, Gorbachev recalled when he first became a member of the Politburo and some of its members wanted to look at the state budget: "But Andropov said, 'Do not get in there, it is not your business.' Now we know why he said so. It was not a budget, but hell knows what." The precise effect of Reagan's "Star Wars" speech—his high-profile and insanely impractical plan to build an antimissile "shield"—is hard to gauge. On the one hand, documents reveal that Gorbachev asked Yevgeny Velikhov, his chief science adviser, to evaluate whether Reagan's Strategic Defense Initiative, as it was formally called, would pose a threat. Velikhov replied that the project was fanciful and that the Soviets could build countermeasures—or deploy additional offensive missiles to saturate the Star Wars system—much more cheaply than the United States could construct additional defenses. However, at the same time, perhaps succumbing to pressure from his own military-industrial complex, Velikhov advised that it might be a good idea to build more missiles, just in case. This analysis may have calmed Gorbachev a bit, but not entirely. At a Politburo meeting in March 1986, Gorbachev said, "Maybe we should just stop being afraid of the SDI! 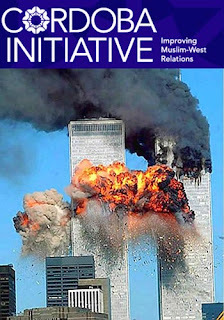 Of course, we cannot be indifferent to this dangerous program. But [the Americans] are betting precisely on the fact that the USSR is afraid of the SDI. … That is why they are putting pressure on us—to exhaust us." If somebody says, "Maybe we should stop being afraid of the bogeyman," it usually means he is afraid of the bogeyman. It's pretty clear that in the spring of 1986 Gorbachev and all those around with him were at least a little afraid of the SDI bogeyman. The next month, April '86, brought the Chernobyl disaster, which, among other things, made Gorbachev realize that information had to circulate more openly (the beginnings of glasnost) and made him think that the ultimate enemy may be nukes themselves. He didn't realize it, but Reagan viewed nukes the same way. Samuel Wells, a Cold War historian at the Woodrow Wilson Center, who has examined all the relevant documents, put it this way in a phone conversation: "His staff, for all of the first term and most of the second, kept this out of the press, but Reagan was terribly, deeply opposed to nuclear weapons—he thought they were immoral." Reagan's vision of SDI—a shield that would render nuclear weapons obsolete—was scientifically preposterous but, by all accounts, genuine. Many of his hawkish aides (most notably the still-active Richard Perle) scoffed at it; they liked SDI because it would scare the Russians and, if it worked, might give us nuclear superiority. But Reagan believed what he said. At their face-to-face summit of October 1986 in Reykjavik, Reagan went far beyond Gorbachev's proposal of a 50 percent strategic-arms cut. To the alarm of some aides, who were not let in on the discussion, he suggested that the two sides get rid of nuclear weapons altogether and jointly build an SDI system to guard against a nuclear revival. Gorbachev initially dismissed the idea. "I do not take your idea of sharing SDI seriously," the minutes (which were declassified by the Soviets 12 years ago) show him saying. "You don't want to share even petroleum equipment, automatic machine tools, or equipment for dairies, while sharing SDI would be a second American revolution—and revolutions do not occur all that often." Reagan replied, "If I thought that SDI could not be shared, I would have rejected it myself." The Reykjavik talks finally fizzled. Gorbachev said he'd accept the zero-nukes plan if Reagan pledged not to test nuclear weapons in outer space (a crucial element of SDI). Reagan wouldn't accept that condition. However, Gorbachev returned to Moscow persuaded that Reagan—who had earlier struck him as a "caveman"—honestly had no intention of launching a first strike against the Soviet Union, and he made this point clear to the Politburo. He could continue with perestroika, which involved not just economic reforms but—as a necessary precondition—massive defense cuts and a transformation of international relations. He needed assurances of external security in order to move forward with this domestic upheaval. Reagan gave him those reassurances. Subsequent conversations between his foreign minister, Edvard Shevardnadze, and Secretary of State George Shultz reinforced his confidence. In the last couple years of the Reagan administration, Reagan would propose extravagant measures in arms reductions. His hawkish aides would go along with them, thinking the Soviets would reject them (and the United States would win a propaganda victory). Then, to the surprise of everyone (except perhaps Reagan, who meant the proposals without cynicism), Gorbachev would accept them. In the end, Reagan and Gorbachev needed each other. Gorbachev needed to move swiftly if his reforms were to take hold. Reagan exerted the pressure that forced him to move swiftly and offered the rewards that made his foes and skeptics in the Politburo think the cutbacks might be worth it. Gorbachev wasn't the only decisive presence. If Reagan hadn't been president—if Jimmy Carter or Walter Mondale had defeated him or if Reagan had died and George H.W. Bush taken his place—Gorbachev almost certainly would not have received the push or reinforcement that he needed. Those other politicians would have been too traditional, too cautious, to push such radical proposals (zero nukes and SDI) or to take Gorbachev's radicalism at face value. (There's no need to speculate on this point. When Bush Sr. succeeded Reagan in 1989, U.S.-Soviet relations took a huge step backward; it took nearly a year for Bush and his advisers to realize that Gorby was for real.) The end of the Cold War may be the most oddball chapter in the history of the 20th century. How fitting, then, that the two most oddball leaders, Gorbachev and Reagan, made it come to pass. [end of quote] For more of the declassified documents - CI.edu For Gorbachov's view read Vladislov Zubpk. Powerful Speaker Nancy Pelosi promised today to investigate those who is funding opposition to the Cordoba Center, better known at the Ground Zero Mosque. She is very concerned that we (yes) are bigoted, unlike those who attacked the LDS/Mormon Church after the positive vote for marriage in Prop. Eight in California. For example Jacob Weisberg at Slate. I boldly put myself up for investigation. I oppose it because it is a symbol of Muslim victory. That's why they named it Cordoba after the furthest Muslim incursion into Europe at Cordoba, Spain. But no one paid me for my risky work in opposition. I do not oppose having another mosque in New York City. There are already many of them. Google Maps shows nine in Manhattan alone. Some report that there are at least fifty in The City. Go ahead, build another. Just don't put it at Ground Zero. Most of 3,000 people have no grave, because not one part of their body could be found after ninteen Muslim extremists flew two airplanes into the World Trade Center Towers. We call that sacred ground. Not sacred to a religion, but to our American civil religion. Your investigation can be very busy starting today. Scott at Powerline confessed, though he didn't put money in - just his time and effort. Charles Krauthammer wrote his opposition in the Washington Post. Who paid Charles? And his column is nationally syndicated, so you can investigate newspapers in every state. Hugh Hewitt is a powerful blogger, talk-radio hosts and - a law professor! His radio show is supported by advertisers, who are supported by listeners. Go after all of them. And I pay the annual fee for Hugh's podcast. So you caught me. Debra Burlingame, the sister of American Airlines Flight 77 pilot Chic Burlingame, is up front. I doubt she got paid. She's a tiny fish; get her. We call Pelosi "Boss Pelosi," because her father was a political-machine politician in Baltimore and she learned from him and uses his techniques, as all can see. Jim Miller explains. Our church does an annual 4-day camp at Warm Beach Christian Conference Center, just south of Stanwood. The facility if first class. It has a huge set of activities - rope course, climbing tower, horseback riding, hiking, swimming, basketball. And huge fields for any crazy game you might improvise. They improved the food this year. In past years they bordered on insult to our Asian friends with meals of mac and cheese. Those were replaced by rice and teri chicken. Great improvement. I will put my big complaint later. We have a great time. People come from near and far. First, there are our two churches New Hope International at Mercer Island and Mountlake Terrace. There is a long-time daughter church in Chandler, (Phoenix) Arizona and a new one in Rosemead, California. Both were represented by about ten people. And some people from Las Vegas. There are ten related churches in Thailad, two in Bangkok plus eight more. They were represented by a mother and daughter who have grandchildren/nieces here. And a woman came from Singapore for this camp. Back to Warm Beach: The service was very good until this year. They downgraded the food service from family-style table service in order "to reduce wasted food." It does reduce waster. But the people serving food went from an attitude of service to "I will stand here and watch you struggle. And be mad if you leave something on the table." Are you a young mother trying to serve and kid (or two) plus yourself? Tough. I rescued a couple of them, but didn't see the 18-year-old servers try it. Coffee? Go beg for it. My Qwest Internet service sure is slow at night. I can't load a single page now. Just got one - one. What happened to the promised high speed I am paying for? Allied Waste hasn't picked up our recycle bin, which is paper, glass and plastics, for three (3) weeks now, actually four. In Lake Forest Park, WA Gross incompetence? No, it doesn't smell bad. Just incompetence. They changed our pick-up day from Monday to Friday, which would add 4 days to the time it sat. But they also switched the alternating weeks for recycle vs. yard waste. So that added another week. So we are one business day short of a three-week delay. The normal alternation makes it four weeks. You would think they would put on extra people for all the extra. After all, they initiated this change. They did tell us that they would pick up overage materials without charge. No. There are blue bins on the street everywhere and lots of boxes and paper sitting on the ground. A phone call to their number: "Normal business hours are Monday through Friday, 8 am to 5 pm." Since they won't listen to me, I will complain to you. Call 206-682-9730. Twelve states have applied for waivers from protecting military voters in the 2010 election: New Hampshire, Massachusetts, Rhode Island, New York, Maryland, Delaware, Wisconsin, Colorado, Washington, Hawaii, Alaska, and the District of Columbia. Citizens from these states should be outraged that their state didn’t take steps to protect military voting rights despite having plenty of time to do so. States like Florida, Georgia, and Vermont got the job done and made changes to comply with MOVE. These twelve did nothing. ... Maryland’s failure to comply with MOVE is typical. I have reviewed documents which make it very clear that Maryland knew they were not in compliance with MOVE as far back as January 2010, but did absolutely nothing to fix the problem. This failure to protect military voters now threatens Governor Martin O’Malley’s reelection. Challenger Bob Ehrlich is hammering O’Malley for dropping the ball. Instead of passing legislation to enact MOVE, the Maryland General Assembly was able to pass 810 other pieces of legislation in 2010. Maryland found time for designating September 15 through October 15 as “Hispanic Heritage Month,” a ban on driving with cell phones, mandatory solar energy purchases for state utilities, a law to decrease how far away from shore people can hunt ducks … and saddest of all, a law allowing 16-year-olds to register to vote. Obviously Maryland has other priorities besides men and women serving overseas. In the meantime, the public, particularly military families and veterans groups, have a right to petition their government and voice their opinion about the waivers. Citizens can reach FVAP and tell them to deny all waiver requests at 800-438-8683 or vote@fvap.gov. Citizens can petition the DOJ and tell them both to recommend against granting the waivers and to sue states who submitted them at (202) 307-2767 or rebecca.j.wertz@usdoj.gov. Sam's side at SOS. I find it hard to spend energy looking at his side, since I have seen that he doesn't even comply with state laws that he requests. 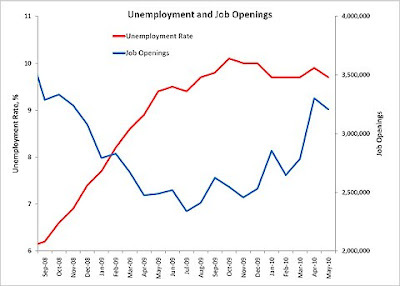 The aids to the nonworking have increased to the point that jobs are going unfilled while unemployment is at 9.5%. First the big numbers, then the stories. Available jobs remain unfilled despite the high unemployment rate. See the graphic. NYTimes Economix blog Normally - always - these numbers move in opposite directions - unemployment goes up and available jobs goes down - but something changed. People can collect unemployment for two years - 99 weeks - and other benefits are for the unemployed or low income only. Each reward for not working causes some work seekers to stop looking. Or they keep looking, but the raise their requirements for pay or the type of work will they accept. "This is as bad now as at the height of business back in the 1990s," says Dan Cunningham, chief executive of the Long-Stanton Manufacturing Co., a maker of stamped-metal parts in West Chester, Ohio, that has been struggling to hire a few toolmakers. "It's bizarre. We are just not getting applicants." Why do Congress and President 0 keep increasing the incentives to NOT work? How can they collect every higher taxes if the number people collecting benefits keeps rising, while those working keeps dropping? When news broke Wednesday that the U.S. Senate had broken free $10 billion for something called Edujobs, not many people were sure how it would benefit the state. Officials here had been watching the money for Medicaid but not the education measure. Neither Gov. Chris Gregoire nor schools chief Randy Dorn knew how it would work, other than quoting U.S. Sen. Patty Murray's stats that Washington could save 3,000 teaching jobs facing layoffs. But few districts were proposing layoffs in Washington. So how can unplanned layoffs be prevented? It took a while, but I found this assessment by the Education Commission of the States. edujobs It estimates that Washington will get $207 million and must use it to either save jobs or create jobs in public schools. It would be sent to the state and be distributed through regular k-12 funding methods. A safe rule of thumb would be that it would be shared based on student populations so if Tacoma has about 3 percent of the state's public school students it would receive about 3 percent of the money (say, $6 million give or take). The cash must be used for school personnel, not administrative or support staff and there are rules to prevent it from being skimmed to other uses - either to repay debt or back fill for earlier cuts. The bad news is that the money must be spent this year (possibly next year). It cannot be reassigned to the hungry people who need it. It must be spent in education. We might presume this means they will hire teachers who will work for one year, then be laid off after only one year because their funding went away. That is bad enough. But the K-12 education bureaucracy are creative, hardened in-fighters. They will find reasons to fund people who have secondary jobs (they have to be in a school) and earn the high end of the scale plus extravagant benefits. Patty, why did you perpetrate such an obvious lie? Oh? They are your political supporters? Ask-WA is an IPhone app for asking a live librarian your question. You submit your question and a librarian somewhere in Washington answers live, 24-hours-a-day, 7-days-a-week, to every Washington State resident.. This might be doing the same web search I could do. But when out and about with just my IPhone it would be useful, since web browsing is marginal on sites not designed for the IPhone's tiny screen. I haven't been able to test it yet, because the ITunes Store said "try later." Todd Bishop at TechFlash tried it to his satisfaction. Three days later, the Japanese governmental news agency broadcast to the world that Japan would ignore the proclamation and would refuse to surrender. During this same period it was learned -- via monitoring Japanese radio broadcasts -- that Japan had closed all schools and mobilized its school children, was arming its civilian population and was fortifying caves and building underground defenses. What the [U.S.] military leaders did not know was that by the end of July the Japanese had been saving all aircraft, fuel, and pilots in reserve, and had been feverishly building new planes for the decisive battle for their homeland. As part of Ketsu-Go, the name for the plan to defend Japan -- the Japanese were building 20 suicide takeoff strips in southern Kyushu with underground hangars. They also had 35 camouflaged airfields and nine seaplane bases. There is much more at Military Quotes. Oh, they don't want to control you, they say. Just to give you money for doing what they want. $4,000,000,000 is $4 billion. And if you don't... And you wanted more bureaucracy too, didn't you? CNS News "Republicans blast Livable Communities bill" The Senate Banking Committee passed the Livable Communities Act on Tuesday, moving the bill one step closer to final passage. The bill creates $4 billion in neighborhood planning grants for “sustainable” living projects and a new federal office to oversee them. Similar legislation in the House has been criticized by Republicans on the House Budget Committee, who charge that “the program’s aim is to impose a Washington-based, central planning model on localities across the country.” In the Senate version, written by outgoing Chairman Sen. Chris Dodd (D-Conn.), the Livable Communities Act would designate $4 billion to aid local governments in planning high-density, walkable neighborhoods. Premised on helping local governments to combat suburban sprawl and traffic congestion, the bill sets up two separate grant programs. One, known as Comprehensive Planning Grants, would go to cities and counties to assist them in carrying out such plans as the following: -- “(1) coordinate land use, housing, transportation, and infrastructure planning processes across jurisdictions and agencies” and -- “(3) conduct or update housing, infrastructure, transportation, energy, and environmental assessments to determine regional needs and promote sustainable development; [and] -- “… (5) implement local zoning and other code changes necessary to implement a comprehensive regional plan and promote sustainable development.” The second grant type – Sustainability Challenge Grants – funds local efforts to: --“(1) promote integrated transportation, housing, energy, and economic development activities carried out across policy and governmental jurisdictions; -- (2) promote sustainable and location-efficient development; and -- (3) implement projects identified in a comprehensive regional plan.” To administer and regulate these new grants, the bill creates the Office of Sustainable Housing and Communities (OSHC) within the Department of Housing and Urban Development (HUD). The legislation is designed to prod local communities toward high-density, public transit-oriented neighborhoods that concentrate large numbers of people into small geographic areas connected by train and bus networks. These high-density neighborhoods would be combined with high-density commercial districts that – in theory – would reduce the need for daily driving and commuting. One of Newsweek's many columnists - it admits it is no longer a news reporting organization - wants his taxes raised Fareed Zakaria - Raise My Taxes, Mr. President! He goes on for a few hundred words about how we have to raise taxes so we don't have to discipline our spending. But he forgets one thing. Zakaria never says that he believes in higher taxes so much that he already sent in a voluntary tax of $10,000 for the year - or an extra $100? - or $1.00? No, he didn't pay an extra penny. Why not? Someone has repeatedly vandalized a couple's yard on N. 185 St. in Shoreline, WA; the husband is a Viet Nam war veteran. They have done this in past campaign years and again this year. NWCN broadcast a report. Their signs were stolen. A printed anti-Republican sign was attached to a utility pole in front of his house. He has asked Democrat Party officials to denounce their goons, but they are silent. Why? If the vandals are not Democrats why are they attacking a home with signs for Republicans. Dr. Art Coday, R, for state rep in 32d district Gary Gagliari, R, for state rep in 32d district James Watkins, R, for Congress in 1st district NWCN gave publicity for these excellent candidates, since they are the object of the Demo vandals. Do the elected Demos support this crime? Also Alyssa Kleven at MyNorthwest. The City of Lake Forest Park wants to keep running things as usual. The economy is down. Taxpayers are being laid off or working fewer hours. Can't the City also cut back a bit? No, they can't lay off a bureaucrat. Indeed, they want to hire some back. 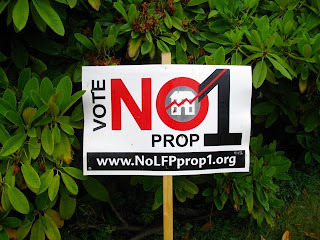 So LFP proposes a tax increase on the August 17 ballot - Proposition 1 - a levy lid increase. It's not real big at first, but it would grow without limit for six years (years two through five), then be folded into the base and be included in all future taxes. 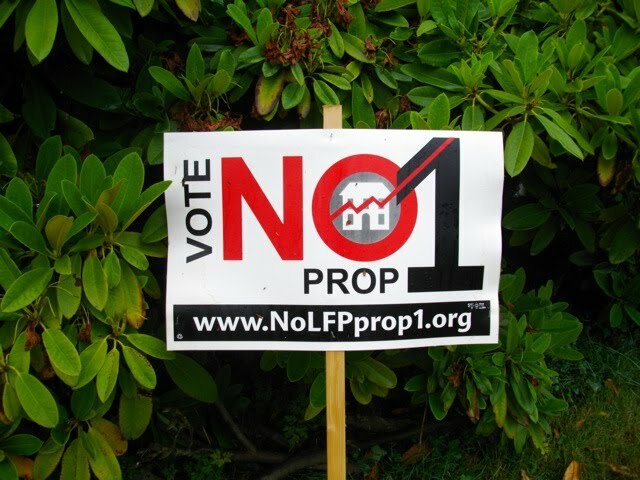 So to convince the voters does LFP, the city, threaten to cut back on bean counters? The recently hired PR person? No. They would cut what impacts the public the most. They would cut police and parks. Plus "community services and city infrastructure." They say to vote yes to preserve public safety, but nothing in the proposition guarantees the increase will be used the way they claim. During the past year LFP has increased drainage fees 15%, added a $20 fee to vehicle licenses, and increased property taxes to the legal limit. Opposition is bipartisan. Nine former city council members oppose the levy lid increase; three of them signed the opposition statement in the King County Voters' Pamphlet. Democrat State Senator Diane Fairley opposes it. Rep. Ruth Kagi supports the tax increase. I am posting this on my own. I have participated in opposition meetings, but I am posting this without their knowledge or approval.